Ant Man and the Wasp: The sequel, Ant Man 2 will release soon. The original film came in 2015, but the character stole the show in 2016 release, in ‘Captain America: Civil War’ where he transformed into a Giant-Man. 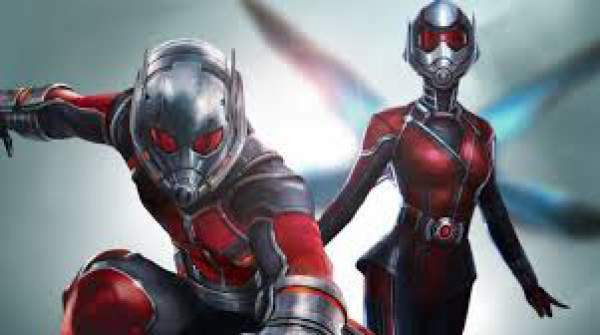 The director, Peyton Reed is all set to release the sequel of AntMan movie. Read out the article to know every minute details for the launch so far. The audience of UK will get to watch the movie on 29 June 2018. For the US release, the launch date is fixed on 6 July 2018. Not along with but a bit later from ‘Thor: Ragnarok’ and ‘Black Panther’ release, the launch would be finalized. Plus, the film is been regarded as the first Marvel film after Avengers: Infinity War. In the year 2018, this is going to be the only marvel release. The following Marvel movie, Captain Marvel will release in 2019. Paul Rudd is coming as Scott Lang / AntMan. Evangeline Lilly joins as Hope van Dyne / Wasp. She would be enacting the role of a daughter from the couple- Hank Pym and Janet van Dyne. Bobby Cannavale is also picked up from the station to act as Paxton. He would play the part being a San Francisco Police Department officer. In the film, he is married to Lang’s ex-wife Maggie. This role seems to be a person who is responsible for managing the affairs and problems arising in the situations where the law is not being followed. Who’s Maggie here? Maggie (Judy Greer) is the ex-wife of Scott and presently engaged to Bobby, the police officer. Luis’s role is given to Michael Pena, Lang’s former cell partner and a crew member in his team. Lang’s crew members also include Dave (Tip “T.I.” Harris) and Kurt (David Dastmalchian). Michael Douglas would be playing the part of Hank Pym. Hank is a former S.H.I.E.L.D agent, physicist, and entomologist. Related: best horror moves on netflix. Originally, he was the one who turned into the AntMan in 1963. His discovery resulted into the origination of subatomic particles which hold the transformation effect. Later on, he passed on his knowledge to Lang for participating in the role of AntMan. Janet van Dyne’s role was assigned to Michelle Pfeiffer. She acting as the wife of Pym and mother of Hope. Hope was the actual Wasp who got off-track during the journey of his mission in Quantum Realm. Other roles include Laurence Fishburne as Bill Foster, Hannah John-Kamen as Ghost, Abby Ryder Fortson as Cassie and Randall Park as Jimmy Woo. The rumor is that we might Jeremy Renner’s Hawkeye in the Ant Man 2 movie as they teamed up in Civil War. The filming just took its first step in the month of July. The filming process might not be done before the month of November. Probably, dealing with such a busy schedule doesn’t allow the team to release out any official date for the promo or trailer. The production stage has been taken into action and with that Marvel just made an update by releasing the synopsis for the movie. That’s too unclear, but to some extent is good for the fans. The film may shoot Wasp’s attempt to detect the location of her mother, Janet Van Dyne. Janet ceased to be visible from decades at the time of Cold War. At that very moment, she minimized herself in a small subatomic size with the intention of chocking the nuclear missile from attacking U.S. Henry Pym, her husband had a conjecture that her wife is no more alive. Throughout the happenings, Ant-Man discovered the presence of Janet who is lost in the quantum realm. On the other side, Scott Lang (new AntMan) followed the same experiment that Janet did and dwindle himself to the subatomic size. But, he knew the method to return back to the original size. This experiment offered a helping hand for Janet to be found by Scott. The story narrates the happenings and events thereafter. Ant Man and the Wasp are at the center point between ‘Infinity War’ and ‘Avengers 4’. The story could be crafted as a two-part one. This will raise the curiosity level of the audience for sure. The sequel would be proposed to deal with many events taken from both the parts further. Reaching to the roots of the story, we hope that the return of Janet would be possible soon within the sequel part. Well, this is a much-awaited thing. The audience might be wondering about the speculations for the story. Soon or later, updates for the film would be on the highlights. Marvel Studios would be capturing the focus again in 2018. The audience might be having too many questions. Wait for the director to throw light on them. For more news, stay connected to TheReporterTimes!